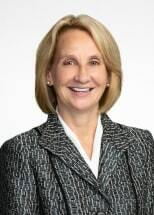 For over 30 years Juli Fournier has represented clients in corporate, limited liability company, partnership, securities, financing, tax, and general business matters. She serves as a trusted advisor to businesses and their owners in evaluating potential deals and developing strategies for success. Juli brings a deep understanding of the legal, tax and business aspects of transactions to complex deals including mergers, acquisitions and sales of businesses, private offerings, financings and loan transactions, and structuring and restructuring of corporations, limited liability companies, joint ventures and partnerships. She advises clients regarding loans, non-competition covenants, employment relationships, shareholders agreements, security, escrow and guaranty agreements, settlement agreements, promissory notes, secured financings and many other types of business contracts. She routinely negotiates and creates documents for entity organizations, shareholder and owner agreements, capital formation transactions, business combinations, sales of businesses, restructurings and breakups.